It’s been a longtime goal of mine to get my nephews and nieces traveling as soon as they were old enough. As one of my nephews turned 10, it seemed like the perfect age to begin expanding his view of the world. Ideally, I was looking to plan a trip where we could, not only see but be a part of local daily life. To accomplish this, I set out to find a volunteer project where we could give back to the community. I quickly realized this was no small feat. Finding a responsible volunteer project abroad is not as simple as it may seem. It was at this point of frustration that I stumbled upon Volunteer Latin America. 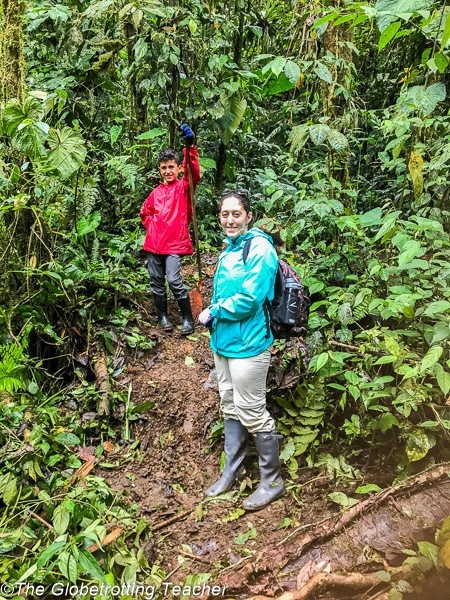 My nephew and I have since completed a wonderful volunteer trip to Ecuador. So, it’s with sincere pleasure that I share this interview with Stephen Knight, the Founder and Director of Volunteer Latin America. Welcome, Stephen! I’m so glad to be talking with you. Can you begin by explaining what Volunteer Latin America is? Thank you! Volunteer Latin America is an online platform that connects voluntary organizations and non-profits with a global audience of volunteers. We specialise in offering affordable and ethical volunteer opportunities throughout Central and South America. Fantastic! What was the motivation behind starting a volunteer platform like this? It all started while volunteering on a leatherback turtle conservation project in Costa Rica back in 2001. Every other volunteer there had gone through a volunteer placement company based in the United Kingdom. Most had paid close to £1000 to join the project. Whereas we found the project ourselves, applied directly, and paid a small registration fee of $35US. The other volunteers still had the same expenses as us once on-site so they effectively paid an intermediary fee. Later, we found out this particular placement company gave none of their volunteer fees to the leatherback turtle conservation project. Not one penny! These volunteers didn’t know they could’ve applied directly and were quite annoyed with themselves and the placement company. This was the lightbulb moment– create a website that promotes the work of grassroots organisations that can be contacted directly. Where 100% of any money paid goes to the host organisation and cause, rather than swelling the bank balance of a foreign company. Amazing! I almost made a similar mistake as those volunteers. It’s really difficult to figure out which organizations and projects are set up responsibly and truly with the good of the local community in mind. 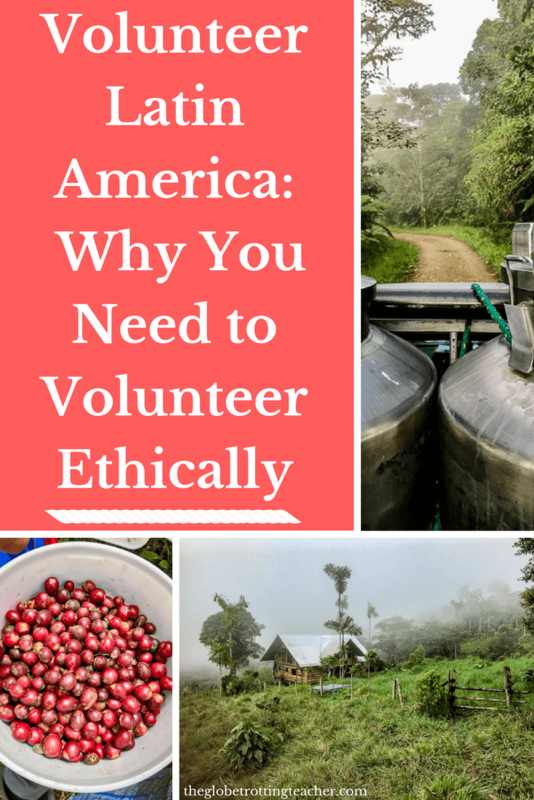 First, why should a prospective volunteer care about whether or not an organization or project is ethical? A prospective volunteer needs to be aware of both the benefits and potential pitfalls of their work. Volunteerism is, by its very nature, altruistic. Yet, making a decision to volunteer for an organisation that doesn’t act responsibly is counterproductive. It may even cause harm to children, animals or the environment. Classic examples include fake orphanages and wildlife sanctuaries with immoral operating practices. For example, big cat breeding programs that secretly supply lions for the shocking and lucrative industry of canned hunting. Ethical volunteering is about ensuring the contribution you make is meaningful and has a lasting, positive impact. 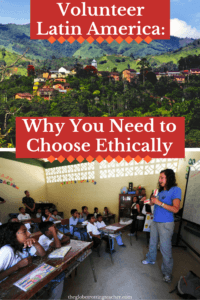 Unless you choose an ethical project, you won’t make a genuine difference to a community and a society. Part of the cloud forest reserve where my nephew and I volunteered. It’s also about making sure as much money as possible reaches the grassroots level of society rather than staying in Europe or elsewhere in the world. Sadly, some placement companies are more interested in making money than helping the environment or providing sustainable and well-targeted help for local communities. No one benefits from these placements apart from the companies that organise them. Volunteers are effectively paying for the plush offices, expensive marketing efforts and staffing requirements of these companies. A cow watching us on our way from the village to the Reserve. Prospective volunteers should also be aware of unethical business practices within the industry. For example, there are some gap year companies forcing host organisations to sign exclusivity agreements. 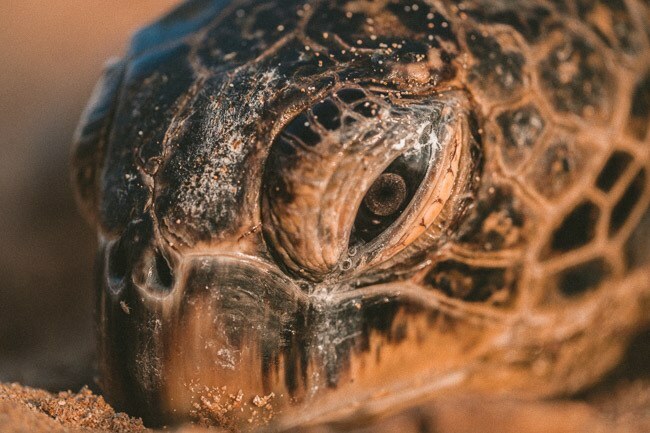 We used to offer a really interesting 2-week long marine conservation project that was free aside from minimal food expenses. But, a well-known gap year company convinced the host organisation to sign an exclusivity agreement. Meaning, we had to terminate our partnership. The project now costs £2000 for 2 weeks! You can clearly see who benefits from this arrangement. A do-it-yourself volunteer placement with a reputable grassroots organisation is the most ethical form of volunteering as this maximises the benefits for the project, local economies, and host communities. 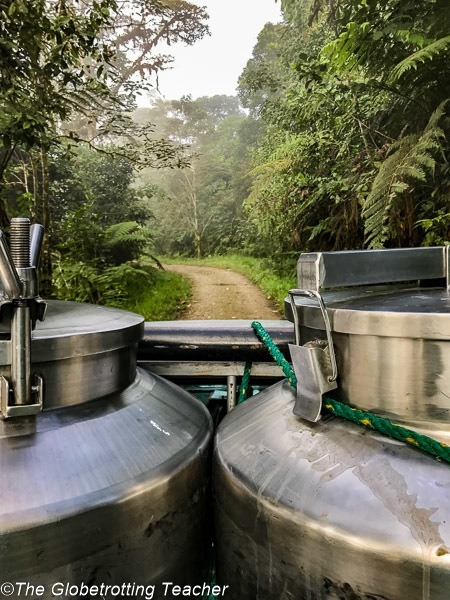 The view from the back of the milk truck we rode to the Reserve. 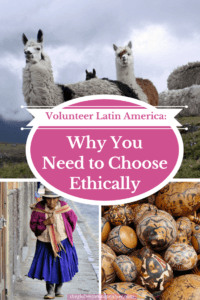 So, are all the organizations and projects on Volunteer Latin America ethical? We make the task of choosing an ethical project relatively straightforward by listing reputable grassroots organisations and projects. With our website you’re better placed to ensure your contribution overseas will be ethical and worthwhile. Let’s talk about volunteer fees. There’s a ton of back and forth online about paying or not paying to volunteer. Not to mention the huge cost differences among volunteer organizations. 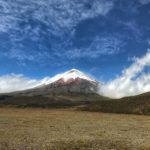 Can you speak to the difference between the relatively low costs of projects on Volunteer Latin America versus the sometimes sky-high costs of other organizations offering volunteer opportunities? The difference between our fees and the sometimes sky-high fees of other organisations is because volunteering overseas is a lucrative, multinational industry. Excessive volunteer fees mean big business and plenty of cash to spend on marketing. This is why small grassroots organisations are always drowned out online by large volunteering companies. Volunteer Latin America is totally against greedy and unscrupulous organisations that cash in on the goodwill of volunteers. As a general rule of thumb – any project with a sky-high fee means someone is making a profit. 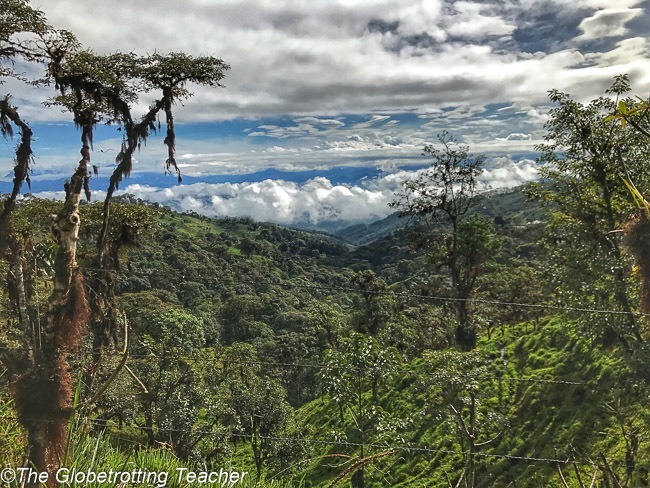 Much better to take in the sky-high Ecuador cloud forest views! That’s really important for travelers to understand. It’s easy to assume the fees paid will go directly to the volunteer project itself. What types of fees should a prospective volunteer expect to pay for a project listed on Volunteer Latin America? The fees vary from project to project depending on the services and facilities offered. The average cost is around $300US per month. In many cases, you can volunteer abroad for free. Volunteers either cover their own living expenses or are provided with free accommodation and food. Some projects offer additional benefits such as a small salary, training opportunities, and may cover the cost of medical insurance, vaccinations, visas, and on occasion, even in-country and/or international flights! 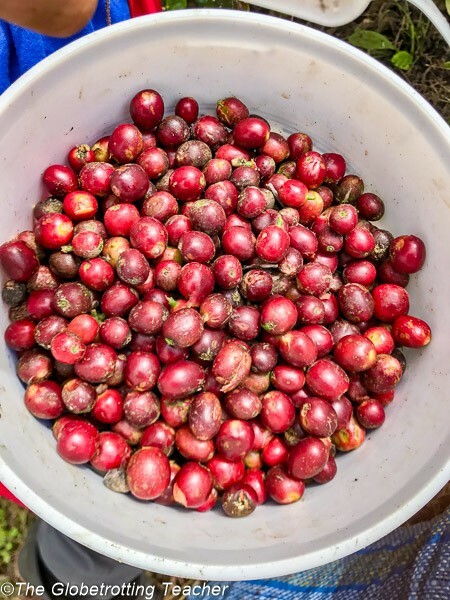 Our bucket of freshly picked coffee beans. What great information! Just as you said, I paid just a small fee for lodging and food for my nephew and me on our Ecuador volunteer trip. 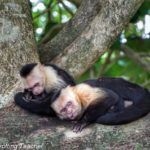 What types of projects can a traveler find on Volunteer Latin America? 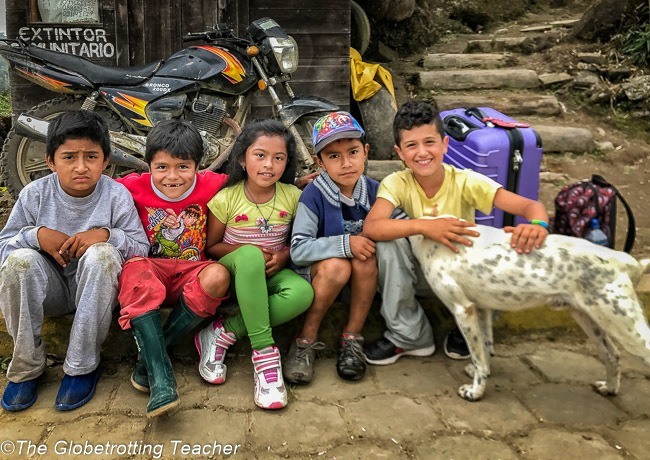 The volunteer projects in Latin America are as varied and interesting as you might imagine. 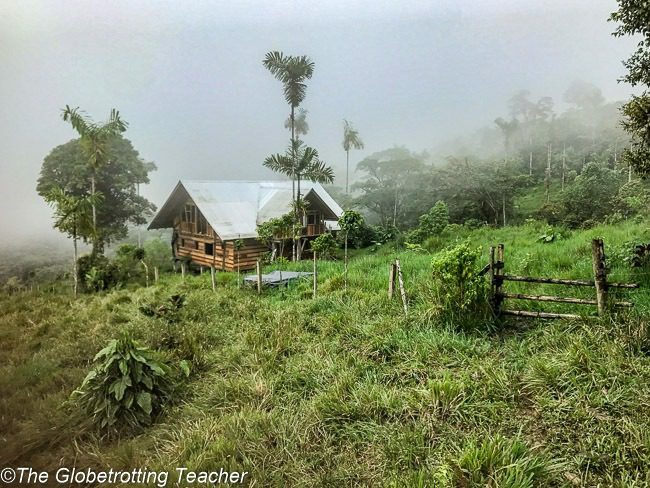 They range from teaching yoga in Costa Rica to monitoring river dolphins in the Amazonian jungle of Brazil. 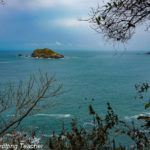 It’s possible to find unusual projects such as working with huskies or being a sand-boarding guide, as well as projects that combine volunteering with learning Spanish or Portuguese. 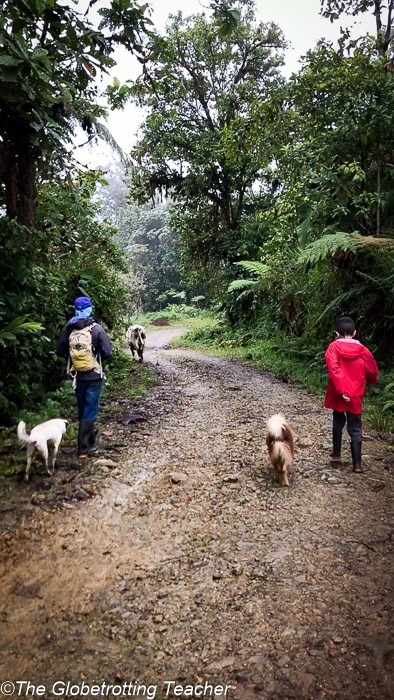 Working to clear trails in the cloud forest. You’ve got me already thinking about a project for next year! Which, by the way, will be with another nephew of mine. I was really impressed with Volunteer Latin America’s family volunteer opportunities, too. Can you offer prospective volunteers any tips for picking the right project? Is your goal to have fun while giving back? Are you looking for a project that can help you professionally or academically? Are your qualifications, skills and/or experience a match for the project? Does the project have a language requirement? Are you looking to capitalise on your free time? Would you rather be alone and completely immerse yourself in the local culture or work alongside other volunteers? and what your budget is. What can you realistically afford? Although there were a few other volunteers around, my nephew had the most fun playing with the local kids. It also helped his Spanish skills! Once you’ve found a project that interests you, thoroughly read the website and Facebook page (if available) for volunteer testimonials. Ask the host organisation to put you in touch with past volunteers to help you decide if the project is the right for you. Contact the host organisation if there is anything you’re unsure about (e.g. dietary concerns, internet access, sleeping arrangements, etc). You can tell a lot about an organisation from their response. Most importantly, trust your gut instinct. Our project host (on the left) was so helpful! I had a good feeling from the start. These are such helpful tips for prospective volunteers! Can you speak to the keys to success once someone has decided on a project? What are your top 3 pieces of advice for volunteers heading off for a Volunteer Latin America project? 1. Preparation is the key to a successful trip. Volunteers should thoroughly research everything from health matters to the do’s and don’ts for safe travel. Pack the clothing and supplies you’ll need for your project. Your packing list will depend on the location, season, and nature of the project. Go online or contact your project to request a list of recommended clothing and equipment. 2. Take time to explore and experience the country you’ll be visiting. 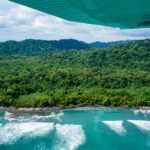 You can’t fail to be excited by Latin America’s amazing attractions, from natural wonders to indigenous festivals. Become acquainted with the history, food, music, language, geography, people, religious beliefs, and customs. 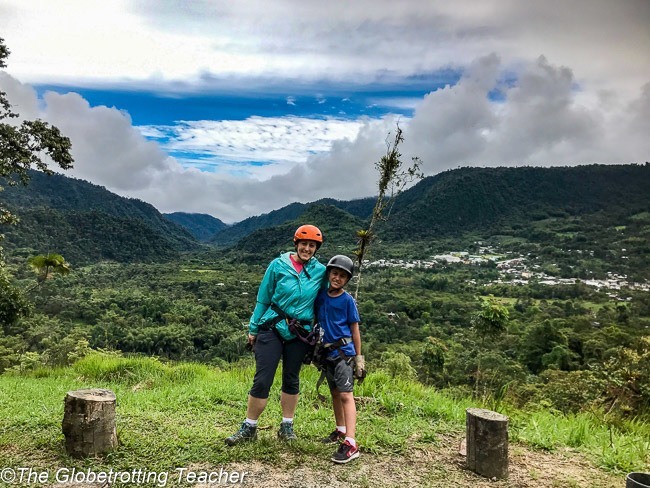 We did some zip lining in the nearby eco-adventure town of Mindo. 3. Make the most of your volunteer trip. Often overlooked, but equally important, is to use your volunteer trip as a launch pad to discovering yourself. Personal growth is one of the most rewarding aspects of volunteering overseas. Thank you so much, Stephen, for sharing your insights and for developing such a useful online platform for travelers who want to volunteer! 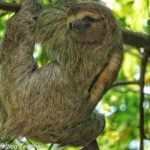 If you’d like to learn more or search for some of the best volunteer programs in South America and Central America, visit Volunteer Latin America. Would you like to volunteer abroad? Exactly, Anne! Never assume the money you pay for a volunteer project goes to the project itself without doing your homework first. Great advice here about who to volunteer with. I wouldn’t mind doing some volunteering in Central America, especially with views like that. 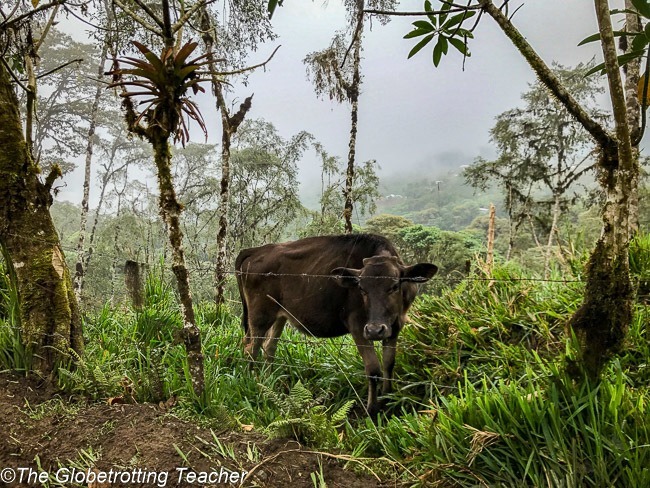 The local village was so peaceful and nestled perfectly in the cloud forest, Danik. Definitely an amazing experience. Great post! I am interested in volunteering overseas and I’m glad to hear that in most cases it can be free or for a minimal costs. It’s really hard to figure out which organizations are really about the volunteering and which are out to just make a profit off of people who want to volunteer abroad. I ran across this when looking for volunteering in Cuba. This is a great article and Volunteer Latin America sounds awesome. Somewhat guiltily I have to admit that we spent a year in Latin America last year and never got around to do any volunteering. The vast majority of this is due to not putting appropriate priority on organising it (pure laziness) but also because there seemed to be ALOT of options, but also VERY little out there. Glad to hear about the low fees and ethical operating practices of Volunteer Latin America. It’s a crying shame that there are so many opportunistic muppets out there trying to take advantage of people’s best intentions. Thanks for sharing! That’s the great thing about Volunteer Latin America, Pedro. You still have to do your research and find the right project for you, but the platform has filtered out those unethical companies. Excellent advice. Volunteering in an ethical way is so important, and too many people are sucked into companies who are doing less than good. I can’t imagine paying a huge sum of money to volunteer. Volunteer Latin America sounds amazing – especially the low fees. Thanks for this post. The fees charged to volunteer with so many programs are inflated beyond belief. You really have to do your research, Rachel. It sounds like volunteering with Volunteer latin America is the way to go, when one wants to volunteer. Sounds like a great company. I cant believe some people make money off people, who want to dedicate their time to help people. Whenever there’s a profit-motive, Barb, there’ll be people looking to exploit it. I was glad to have worked directly with the project I wanted to do. Very informative post. I had no idea you had to be so careful about who you do volunteer work with! Thanks, Tami. Yes, it’s so important to do your research. I am not a big fan of short term volunteering abroad (exception would be a medical mission or specialized skills). 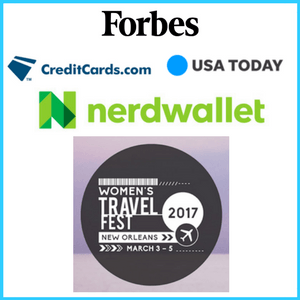 This article hits the nail on the head of why I don’t like most the trips. They have a huge cost yet most that money doesn’t actually make it into the program actually doing the good work. I like how you worked directly with the program and cut out the middle man. Some programs do need short term volunteers for specific activities and I don’t mind those. But in some places, you have orphanages that have been set-up specifically to cater to the voluntourism culture. It’s awful that every couple of weeks these kids get a new set of volunteers who naively believe that they will change this kid live over a two-week period. I couldn’t agree with you more, Jennifer. This is exactly the type of situation I wanted to avoid and it was a lot harder than I expected. The field is littered with companies looking to take advantage of unsuspecting do-gooders. Not to mention, the effect those voluntourism companies have on the local community. I’d definitely check out Volunteer Latin America. Short and Long term projects are available and all of them cut out the middle man. Wow that place you volunteered in the cloud forest looks breathtaking. We also believe some volunteer place are asking for a stupid amount of money for the program, it’s incredible. The views from the village were spectacular. You have to make sure any money goes toward covering your food and accommodations and/or to the project itself, Mimi. Hi Jackie, very interesting article. Was looking on Volunteer Latin America site for family volunteering opportunities but it said minimum age 18. 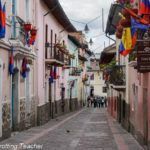 Wondering if that option off the table now or if I’m looking in the wrong place… going to Ecuador/Peru with hubby and two boys aged 8 and 10 and hoping to volunteer while there. Would you have any tips? Thanks for reading, Christina. 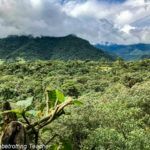 I did the Sustaining a Cloud Forest project in Ecuador posted on Volunteer Latin America with my 10-year-old nephew. Overall we had a great experience and I’d definitely say to check it out. Pros were that the volunteer work was in the morning until early afternoon. Then, my nephew was able to spend the rest of the day playing with the village kids, which was great. There were also community soccer/football games in the village that he took part in. You could really get a sense for and feel a part of the community in this way. The biggest con was the bathroom situation. Although the house has a bathroom, the village runs on a community water system so there could be some days where there’s just not a lot (or any) water. We were glad our weekends were free. 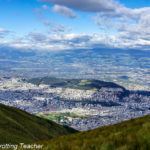 It gave us a chance to explore other parts of Ecuador like Mindo where we could stay in a B&B and decompress (with hot showers). Hope that helps and you have a great experience.